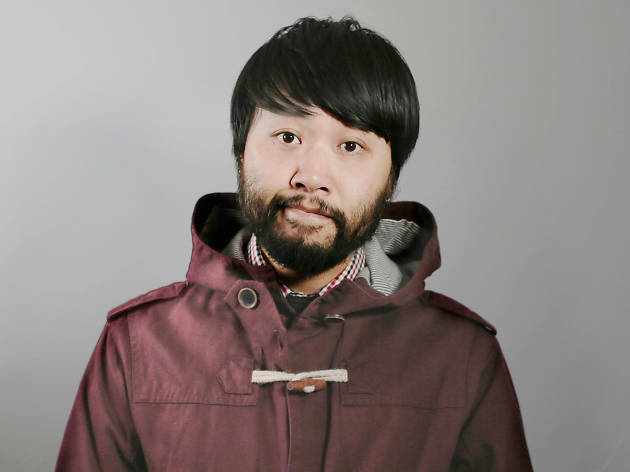 This is a review from Lawrence Leung's Melbourne International Comedy Festival season. There’s a popular story – maybe not entirely true – that says World War I was started by a sandwich. After seven men attempted to assassinate archduke Franz Ferdinand, one of the conspirators, Gavrilo Princip, went to grab a sandwich. At the shop, Princip spotted Ferdinand’s driver, who had got lost trying to bring the archduke to safety, and was able to step forward to shoot Ferdinand. It’s known that Ferdinand’s assassination was the trigger for World War I, but what if Princip just wasn't that hungry? And what if the sandwich had never been invented in the first place? What if the Earl of Sandwich weren’t a problem gambler, sustained at the table by meat and bread? These are the questions the always amiable Melbourne comic Lawrence Leung asks in his new show. It’s a show about fate in the most philosophical sense – over the course of the show, he puts what he learned from his former insufferable philosophy student roommate into practice, through long monologues which draw events and ideas together, and some audience participation and the kind of mind control-style magic tricks that could just fool Penn and Teller. It’s meticulously crafted, with intricate connections that defy the audience’s expectations in satisfying ways over and over again. But there are a few too many jokes that fall flat, and Leung has to work hard to maintain the momentum whenever this happens. With sharper editing, those lags could be shorn off or spun into something stronger. In one bit, Leung says that if he could travel back in time, he wouldn’t kill baby Hitler, but instead go further back to seduce Hitler’s mother so the dictator was never born. There should be a decent follow-up about historical mother seductions – maybe he could’ve prevented somebody terribly irritating from contemporary pop culture? – but he simply says he needs to next seduce Stalin’s mother. It’s a shame that those flat spots pop up, because the core of what Leung is doing is adventurous and quite unlike anything else in the festival.